Leather Therapy Wash deep cleans from the inside out, lifting dirt and grime from the inner fibers of leather to prevent deterioration and cracking—without leaving surface residue. It’s gentle on leather and stitching, and can be used for leather tack, boots, shoes, and jackets—even synthetic leather. 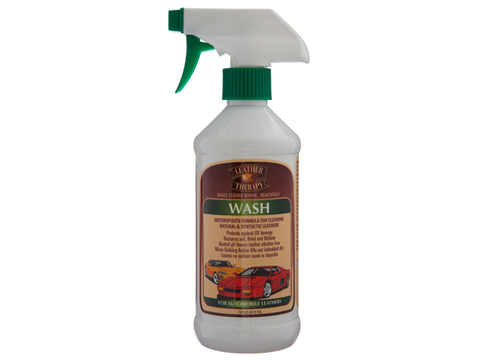 It’s ideal for cleaning most leathers because the residue-free formula eliminates buildup in detailed areas.